I’m writing this post on Christmas Eve, with a glass of wine in my system, and a batch of dough rising on top of the dryer. Hey! It’s really warm there – perfect for rising dough. Don’t judge me. For all intents and purposes, I’ve abandoned the 2012 Bread Challenge (for reasons I’ve already mentioned), but I’ve got one last trick up my sleeve before the end of the year. Last Thursday, before everyone abandoned the office prior to the holiday week, my officemates and I organized a little Khristmas Koffee Klatch, and everyone brought something to share. 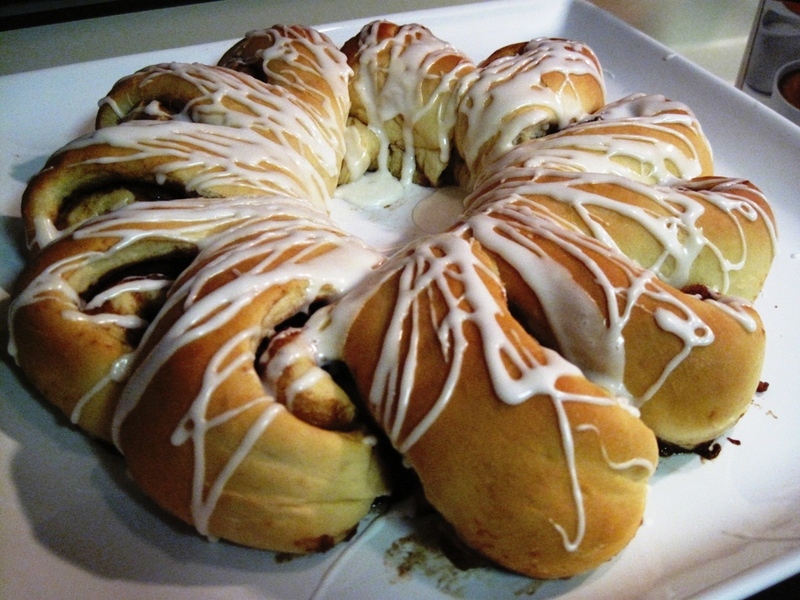 I was pondering what to make, and remembered a recipe from Christmas Past – a recipe my mom used to make every year, and give as gifts (I think – I mostly remember the making, and less about the giving): the Swedish Tea Ring. My memories are somewhat vague, but I sorta remember Mom making tons of these things, and me and my sister helping. Well, probably not my sister so much. She wasn’t one for the kitchen. 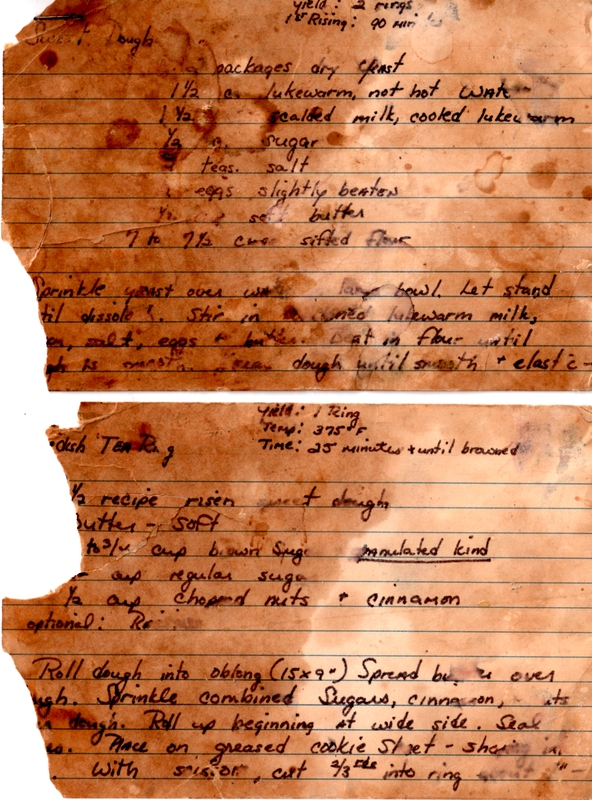 I found Mom’s recipe cards stuck in an old cookbook – old, discolored, and chipped. I seriously think these cards as as old as I am. OLD, I tell you! I had to guess at a couple ingredient quantities, but the recipe worked, and I’ve put it together in readable (and printable) form for you. It’s actually two separate recipes, and the Sweet Dough recipe is linked separately. Combine sugars, cinnamon, cardamom, nuts and dried fruit (if using) in a small bowl. Set aside. Cut dough into two portions; work with one portion at a time. 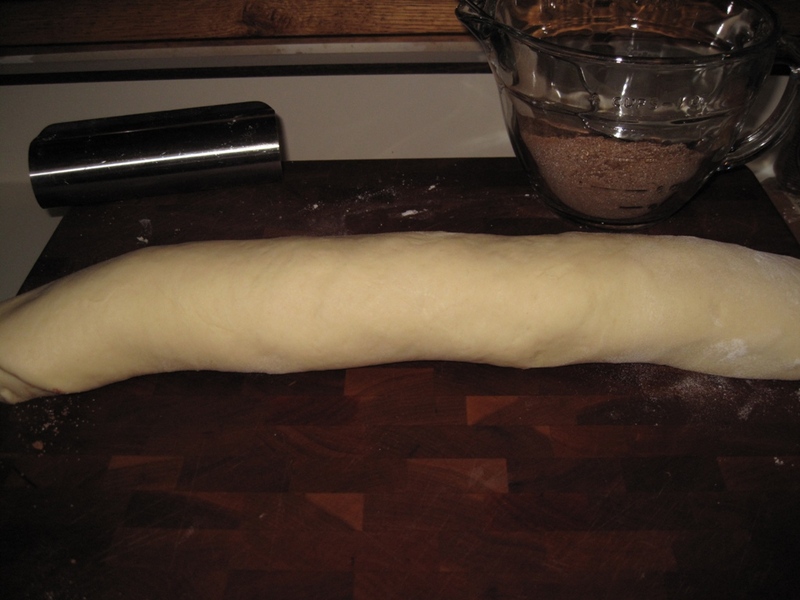 Press/shape dough into 9″x15″ oblong. Spread soft butter over dough. Sprinkle dough with sugar mixture; press lightly into dough. 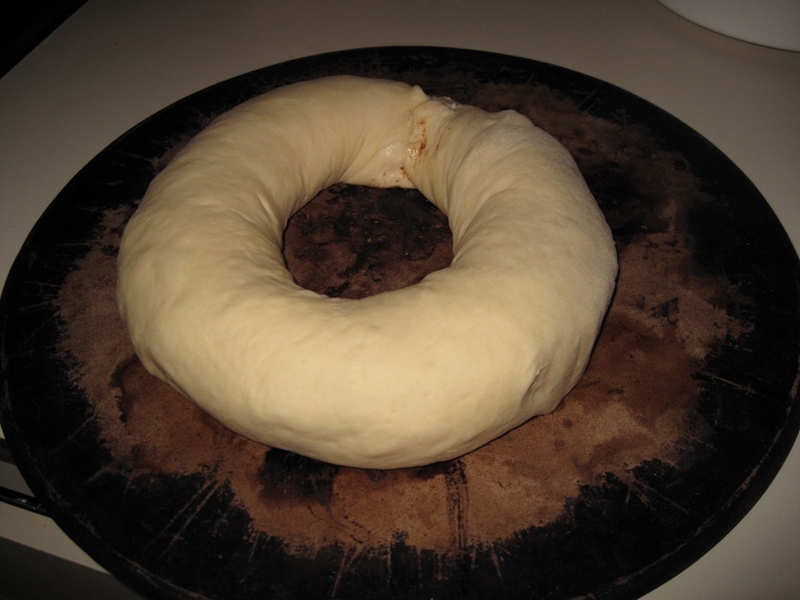 Roll dough up, starting with long side, into a tight cylinder. Seal edges and ends. 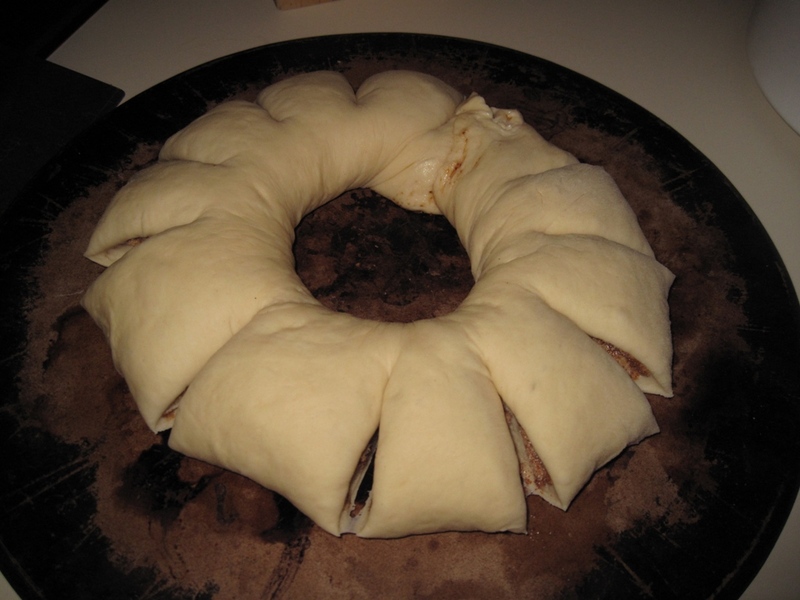 Place rolled dough onto greased cookie sheet, shape into tight ring (use a little water to seal ends together). With scissors or dough scraper, cut about 2/3 into ring in 2″ intervals, all the way around the ring. Turn each cut piece outwards, so cut side is facing up. Repeat with second dough portion. Let rings rise, covered with plastic wrap, for 30 minutes or until puffy. Bake at 375 for 25 minutes, or until lightly browned. Allow to cool slightly; remove to wire racks to cool completely. Decorate with white icing (confectioner’s sugar mixed with milk until pourable). It is best NOT to use a stand mixer to knead this dough, unless you own the largest stand mixer they make. This makes a lot of dough, and mine overflowed the bowl and got all up into the mixer mechanism. A mess. You can start the dough in the mixer, but remove it before adding the final two cups or so of flour, and knead it by hand. 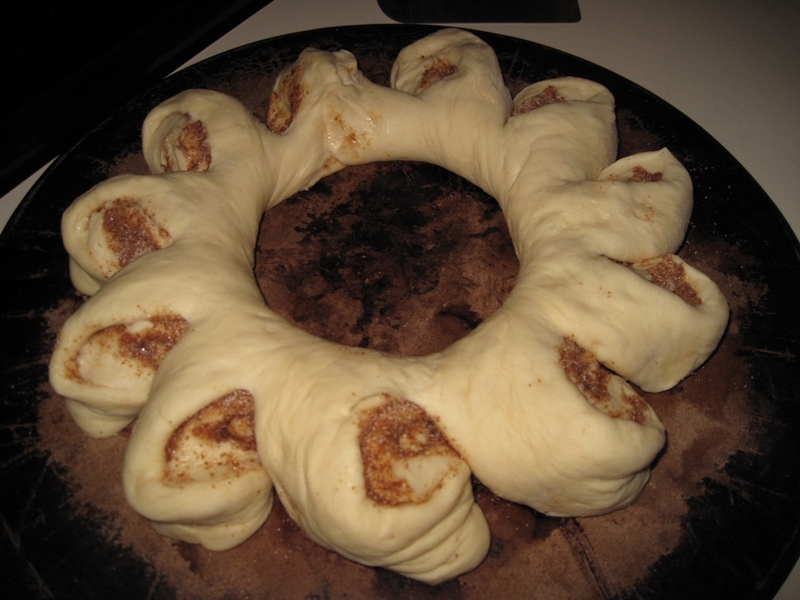 After shaping into rings, you can place in the refrigerator overnight. Just remove from the fridge and let rest for 1 hour or so before baking. It is best if you bake these on a rimmed baking sheet, because hot sugar syrup WILL drip all over the bottom of your oven. I learned this the hard way. 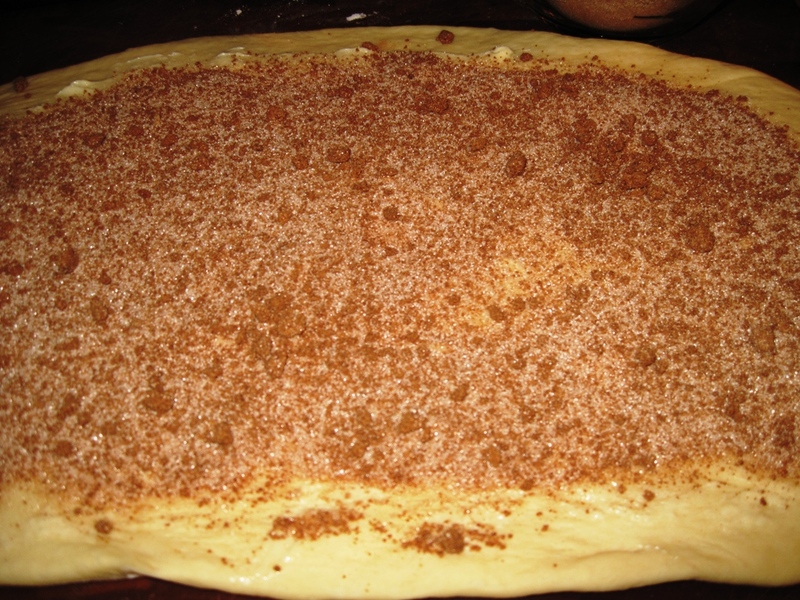 This is also the recipe for cinnamon rolls; simply cut the rolled up dough into 6 or 8 portions, place in a baking dish and bake for the same amount of time at the same temperature. Cinnamon roll icing, add about 2oz of cream cheese to the sugar/milk mixture and blend. Wendy, I especially enjoyed this post. I have a similar stained recipe for Glogg framed and hanging over my stove. I also make a Christmas Cardamom Braid (attached) every Christmas which, although not quite as fussy as your tea ring, is similar. Will you continue your posts from your new location? If so, please keep me on your list. I find your humor and style of writing (and photos) as interesting as the recipes themselves. Happy New Year! Sorry you’ve left for Solon, Wendy. As a former resident of Euclid, who dated a woman from Solon for a while, I know the environment you’re in. I haven’t left just yet. Probably a couple more months here in the 518. I’ve got a bit more time to enjoy it here…whatever that may mean. Solon is not that great from what we’ve seen; we’re looking to live just south of there. This is gorgeous. I want to make it!